This photograph shows a hut and was taken along the Fort Caroline Nature Trail. 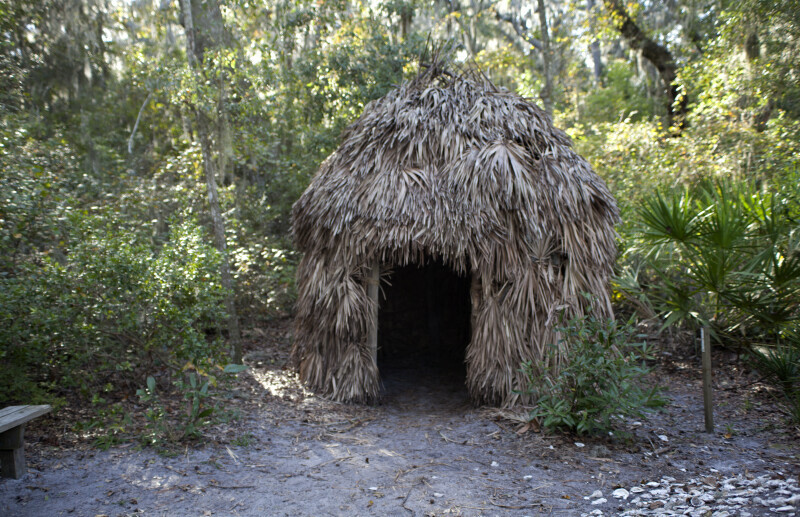 The hut is a representation of what was once used by Timucuan Indians. WARNING: You are about to download a 55.1 MB TIFF!